Tech Week is back! 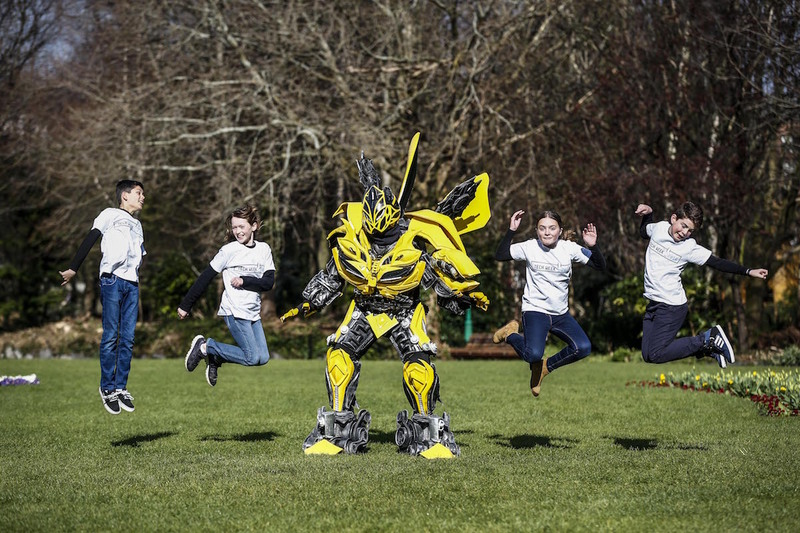 Ireland’s national festival of technology aimed at students, parents and the public began yesterday and will run until 30 April. Organised by the Irish Computer Society, and part-funded by Science Foundation Ireland, the week will see more than 100,000 primary and post-primary pupils all over Ireland taking part in a range of fun activities including the finals of tech competitions that have been running throughout the past year. Jim Friars, CEO of the Irish Computer Society, explained why Tech Week is so important: “Ireland needs an additional 45,000 new ICT professionals by 2018 to fuel economic growth. Tech Week is about experience. It’s about giving students and society a chance to reflect on technology and interact with it in a fun and positive way. The current generation of children and teens are ‘digital natives’ but instead of just using technology it’s important for them, and their parents, to understand that careers in technology are creative, rewarding and enriching. “Tech Week provides hands-on opportunities for young people to learn about how computing and related technologies are shaping every area of life. The aim is to stimulate thinking around future opportunities for study and careers in technology, through learning in the wider areas of science, technology, engineering and maths (STEM) subjects. The highlight of this year’s Tech Week will be a showcase which takes place in Dublin’s RDS on Thursday, 28 April. The showcase will include the F1 in Schools finals, where pupils use CAD to design and race model F1 cars, the Scratch Coding Final and workshops, for example, ‘How smart are your clothes?’. Students from LIT (Limerick Institute of Technology) and St. Patrick’s Girls National School in Limerick will demonstrate the use of Google Cardboard, Oculus Rift, Meccano Robot, Tobii Eye Movement, along with more exciting technologies, to the young people attending on the day. Togher Girls National School in Cork will hold a Parent Internet Safety Night as part of their efforts to build a generation of responsible digital citizens whose online behaviours demonstrate media literacy, safety and security, ethics and community.